Dr Nick Medland has more than 20 years experience in HIV clinical care in Australia and South East Asia. He works clinically as a sexual health physician at Royal Melbourne Hospital and Melbourne Sexual Health Centre. He has a PhD in HIV biomedical prevention and is a National Health and Medical Research Council research fellow at the Kirby Institute for Infection and Immunity in Society at the University of NSW. 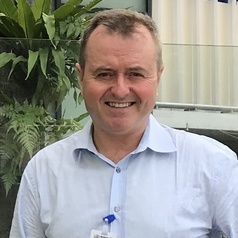 He is the vice-president of the Australasian Society for HIV, Viral Hepatitis and Sexual Health Medicine (ASHM), the co-chair of the Australasian Sexual Health Alliance (ASHA) and is on the executive committee of the Chapter of Sexual Health Medicine of the Australasian College of Physicians. He worked for 6 years in senior positions for US Government HIV treatment programs in Vietnam and has an interest in research and programs in HIV treatment and prevention in resource limited settings.